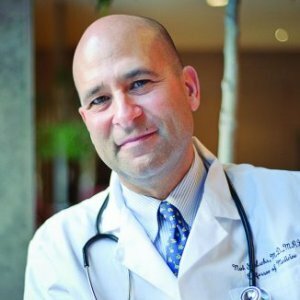 Dr. Lachs is a Professor of Medicine and Co-Chief of the Division of Geriatrics and Gerontology at Weill Medical College. 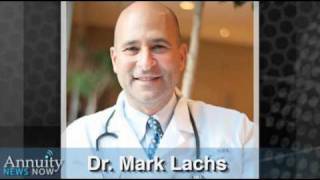 Mark S. Lachs, M.,D., M.P.H. is Professor of Medicine and Co-Chief of the Division of Geriatrics and Gerontology at Weill Medical College. He is also director of Cornell's Center for Aging Research and Clinical Care and Director of Geriatrics for the New York-Presbyterian Health System. Dr. Lachs' research, teaching, and clinical experience center on elder abuse and improving the quality of life for older adults. The focus of his research includes the identification of risk factors for reported elder mistreatment and more recently, the survival of older adults who have experienced mistreatment. He has gained advanced understanding of this newly recognized problem in the elderly community through a series of innovative studies intended to rigorously measure prevalence, risk factors, outcomes, and community interventions directed at victims (adult protective services). In addition to an NIA academic leadership award, Dr. Lachs is Paul Beeson Physician Faculty Scholar from the American Federation for Aging Research through funding from the John A. Hartford Foundation, and the Alliance for Aging Research. Dr. Lachs is also the Irene F. and I Roy Psaty Distinguished Professor of Clinical Medicine. Why Are My Joints So Stiff in the Morning? “Morning stiffness should not necessarily be credited to ‘normal aging,’ as it could be a symptom of treatable conditions that become more prevalent as we get older,” Dr. Mark S. Lachs, M.,D., M.P.H. told the New York Times. "Much (but not all) of interpersonal aggression in nursing homes stems from the fact that people, many of whom have dementia and other neurodegenerative illnesses, are being thrust into communal living environments for the first time in decades, if ever," says lead study author Mark S. Lachs, MD, MPH, professor at the Weill Cornell Medical College at Cornell University to Reuters Health. "While memory loss and other cognitive problems are cardinal features of dementia, the behavior problems that accompany dementia are notorious triggers for nursing home placement. When many such people are asked to share common spaces or become roommates, these situations can occur." Could 'financial vulnerability' be a medical condition? "Even cognitively intact older adults can have 'functional' changes that may render them financially vulnerable," wrote Mark S. Lachs and S. Duke Han from Weill Cornell Medical College, in a recently published article in the Annals of Internal Medicine. They define the condition, which they call age associated financial vulnerability (or AAFV), as "a pattern of financial behavior that places an older adult at substantial risk for a considerable loss of resources such that dramatic changes in quality of life would result," and these patterns would be "inconsistent with previous patterns of financial decision making during younger adult life." Patterns of traumatic personal experiences and maladaptive behaviors that self-neglecters frequently report were identified. Experiences, perceptions, and behaviors developed over a lifetime may contribute to elder self-neglect. Further exploration and better understanding of these patterns may identify potential risk factors and areas for future targeted screening, intervention, and prevention. Emergency department assessment represents a critical but often missed opportunity to identify elder abuse, which is common and has serious consequences. Among emergency care providers, diagnostic radiologists are optimally positioned to raise suspicion for mistreatment when reviewing imaging of geriatric injury victims. However, little literature exists describing relevant injury patterns, and most radiologists currently receive neither formal nor informal training in elder abuse identification. Elder abuse is underrecognized, and identification of subtle cases requires a high index of suspicion among all health care providers. Because many geriatric injury victims undergo radiographic imaging, diagnostic radiologists may be well positioned to identify injury patterns suggestive of abuse. Little is known about radiologists' experience with elder abuse. Our goal was to describe knowledge, attitudes, training, and practice experience in elder abuse detection among diagnostic radiologists. The goal of this review is to discuss the state-of-the-science in elder abuse prevention. Findings from evidence-based programs to reduce elder abuse are discussed, drawing from findings and insights from evidence-based programs for child maltreatment and domestic/intimate partner violence. A conceptual measurement model for the study of elder abuse is presented, and linked to possible measures of risk factors and outcomes. Advances in neuroscience in child maltreatment and novel measurement strategies for outcome assessment are presented. Elder abuse is a common phenomenon with potentially devastating consequences for older adults. Although researchers have begun to identify predisposing risk factors for elder abuse victims and abusers, little is known about the acute precipitants that lead to escalation to physical violence. We analyzed legal records from highly adjudicated cases to describe these acute precipitants for physical elder abuse. In collaboration with a large, urban district attorney’s office, we qualitatively evaluated legal records from 87 successfully prosecuted physical elder abuse cases from 2003 to 2015.